Workplaces are changing. Take the "gig economy," for example. How will it be affected by a recent California Supreme Court ruling on self-employed independent contractors and company employees? "The ruling may bring some much-needed clarity to the new world of work," said author and entrepreneur Marion McGovern. Key issues of employer control and the direction of independent contractors and employees that the Golden State’s high court ruled on can and should lead "to more transparency in the law," which she views as a positive step forward. "The decision sets up a generous standard determining who is an employee, including a presumption that workers are employees unless certain criteria is met," according to Rebecca Smith, director of work structures for the National Employment Law Project. 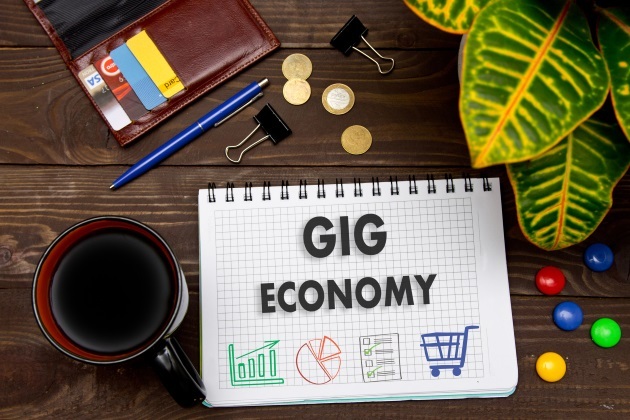 The gig economy relies upon independent contractors, workers who are not company employees. Rather, the former are self-employed workers with a contractual arrangement to a firm. Uber, the app-based ride-hailing firm, tops the gig economy, with 833,000 driver participants during a year, according to Lawrence Mishel, a distinguished fellow at the Economic Policy Institute in Washington, D.C. Independent contractors are those who are self-employed and file a 1099 Internal Revenue Service tax form. They are responsible to pay the employer and employee share of Social Security, and to purchase their own health insurance. In contrast, company employees file W-2 tax forms with the IRS. Employers pay their share of Social Security tax for company employees, and they can receive employer-provided health insurance. Federal and state labor standards do not extend to on-demand workers. By contrast, such labor standards do cover company employees. In late March 2016, two Ivy League economics professors, Lawrence F. Katz of Harvard and Alan B. Krueger of Princeton, released a paper on the rise of "alternative work arrangements" in the U.S.
Their data analysis, based on a version of the Contingent Work Survey instrument of alternative or nonstandard employee-employer activity, points to a decline in the quality and quantity of compensated labor, while declining to state the precise cause(s). They continue: "The increase in the share of workers in alternative work arrangements from 10.1 percent in 2005 to 15.8 percent in 2015 implies that the number of workers employed in alternative arrangement increased by 9.4 million (66.5 percent), from 14.2 million in February 2005 to 23.6 million in November 2015. Thus, these figures imply that employment in traditional jobs (standard employment arrangements) slightly declined by 0.4 million (0.3 percent) from 126.2 million in February 2005 to 125.8 million in November 2015. Unfortunately, we cannot determine the extent to which the replacement of traditional jobs with alternative work arrangements occurred before, during or after the Great Recession. But it appears that as of late 2015, the labor market had not yet fully recovered from the huge loss of traditional jobs from the Great Recession." Of the four categories of nontraditional employment they map, independent contractors were the largest. Professors Katz and Krueger’s terminology differs slightly from how the IRS defines self-employed independent contractors. According to the academic duo, "Independent Contractors are individuals who report they obtain customers on their own to provide a product or service as an independent contractor, independent consultant, or freelance worker." For businesses, one thing is clear. How owners classify workers is paramount, given the California Supreme Court’s recent decision.